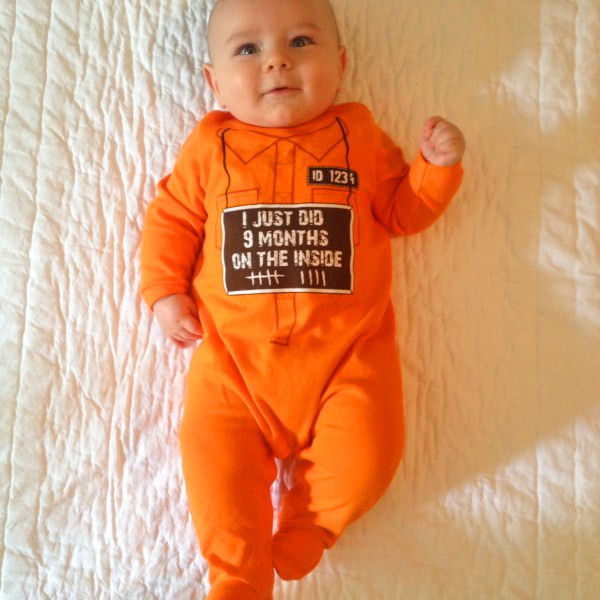 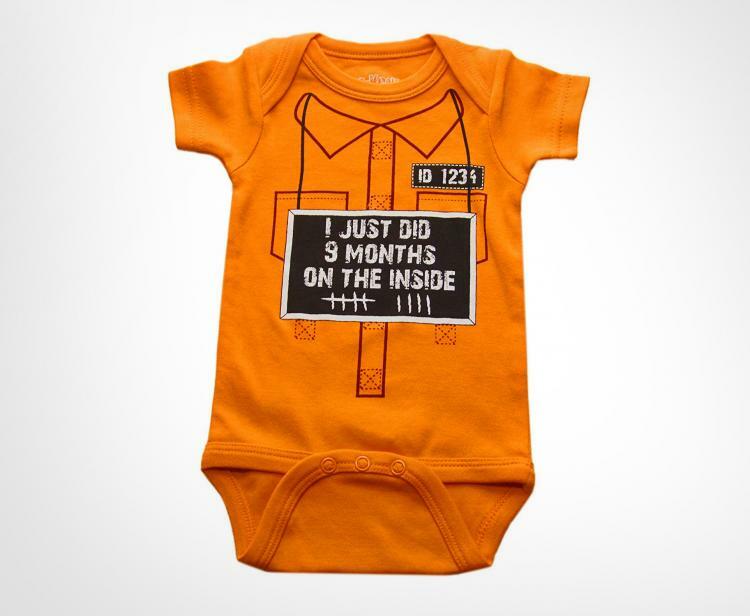 This funny baby onesie lets everyone know your baby did 9 months of hard time on the inside of the womb. 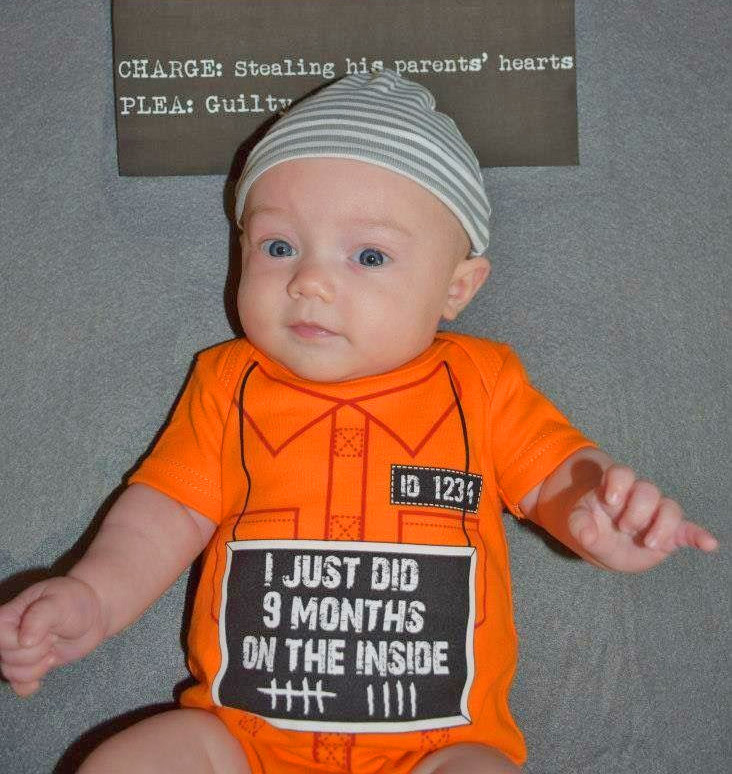 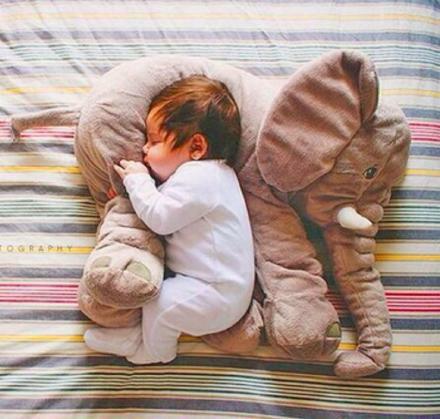 Probably the greatest newborn Halloween costume ever, the 9 months on the inside baby onesie makes a perfect gift idea for new parents, or Halloween lovers. 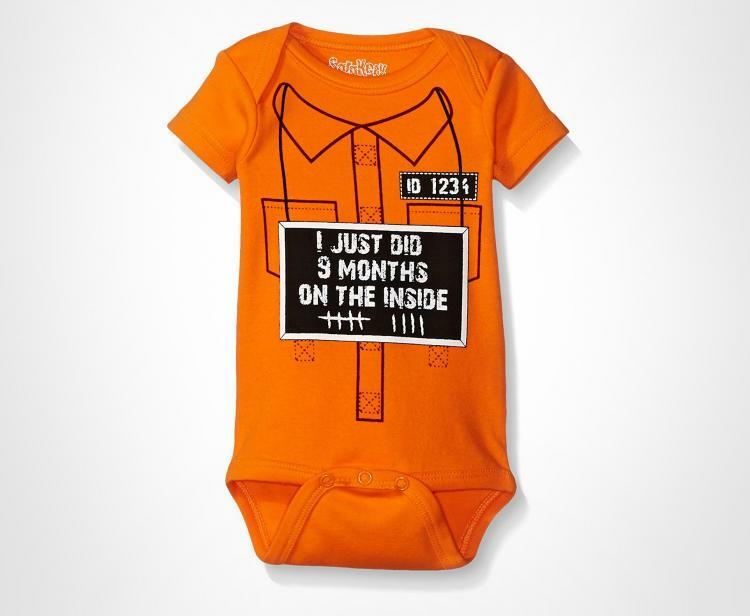 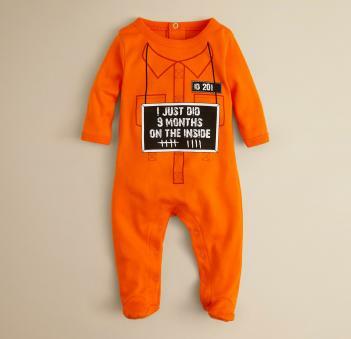 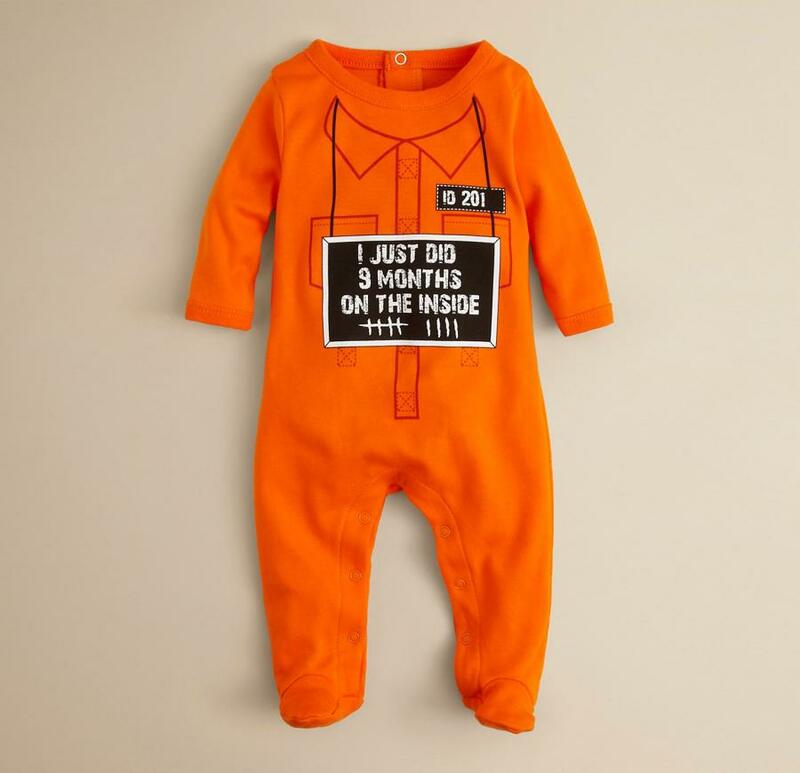 The 9 months on the inside baby onesie is standard inmate orange in color, comes in three different sizes ranging from newborn to 18 months old, and comes in two different versions, one of which that has legs, and another that is legless. 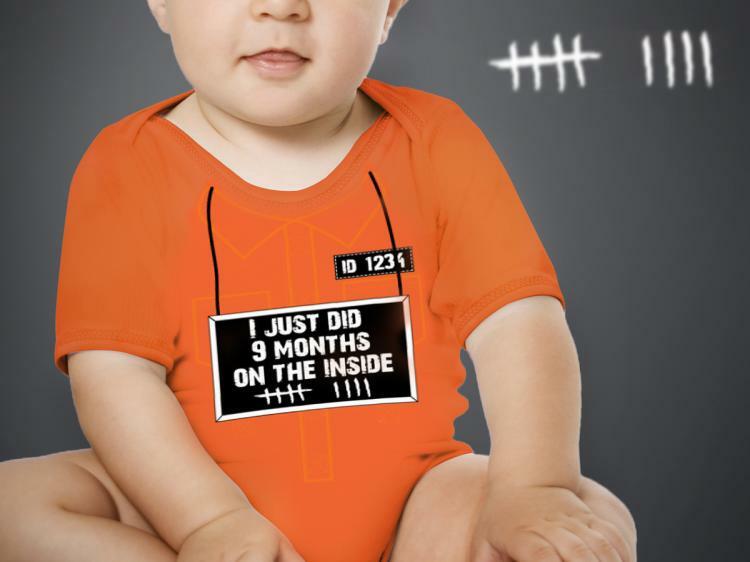 The 9 months on the inside baby onesie features a design that makes your baby look like their holding a chalkboard that reads "I JUST DID 9 MONTHS ON THE INSIDE", along with 9 different tick marks signifying the 9 different months of hard time they indeed did. 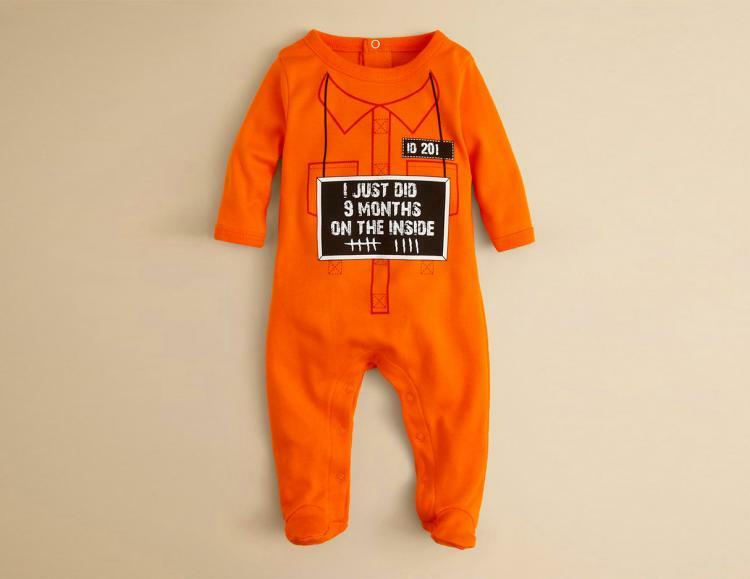 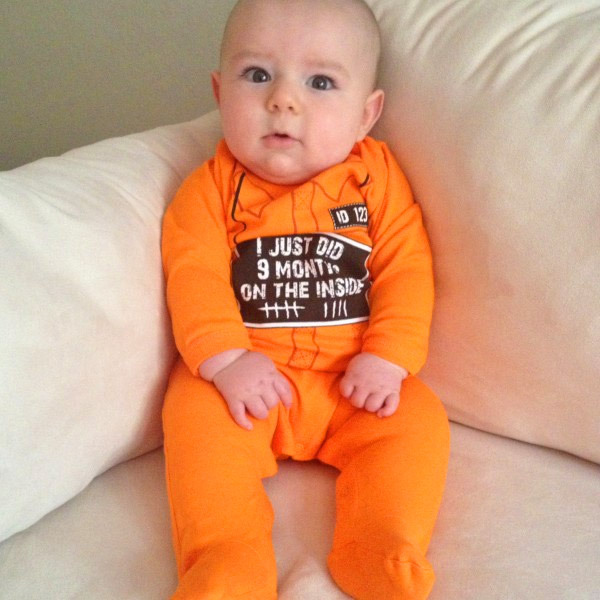 The funny jailbird baby costume also features an ID badge on the onesie just like a real prison uniform might have. 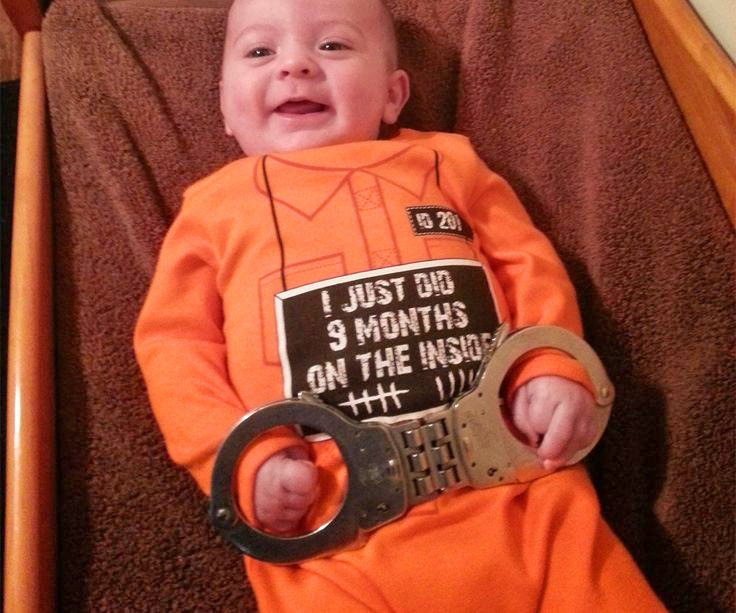 The 9 months of hard time baby onesie Halloween costume is made of 100% cotton, is 100% pre-shrunk, is machine washable, has a three-snap bottom closure with easy access for diaper changing, and is sure to give anyone who sees your baby a laugh or two.